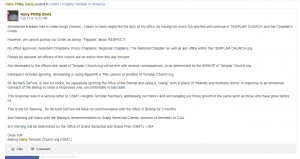 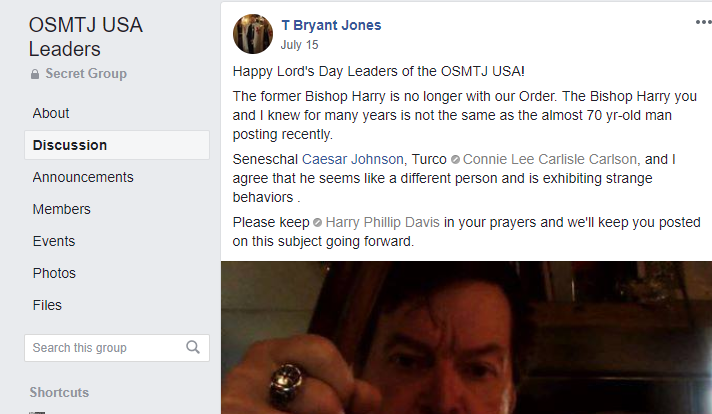 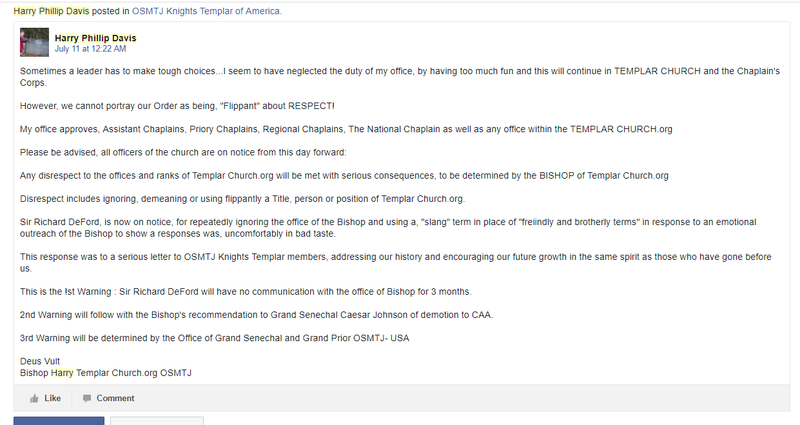 With a heavy heart, on July 15th, members of the Board of Templar Church had to remove a former clergy member, Harry Phillip Davis, from Templar Church and from the USA Grand Priory due to strange and incoherent behavior including unwarranted verbal attacks on our members like the post from Harry you can read by clicking on the image to the left. 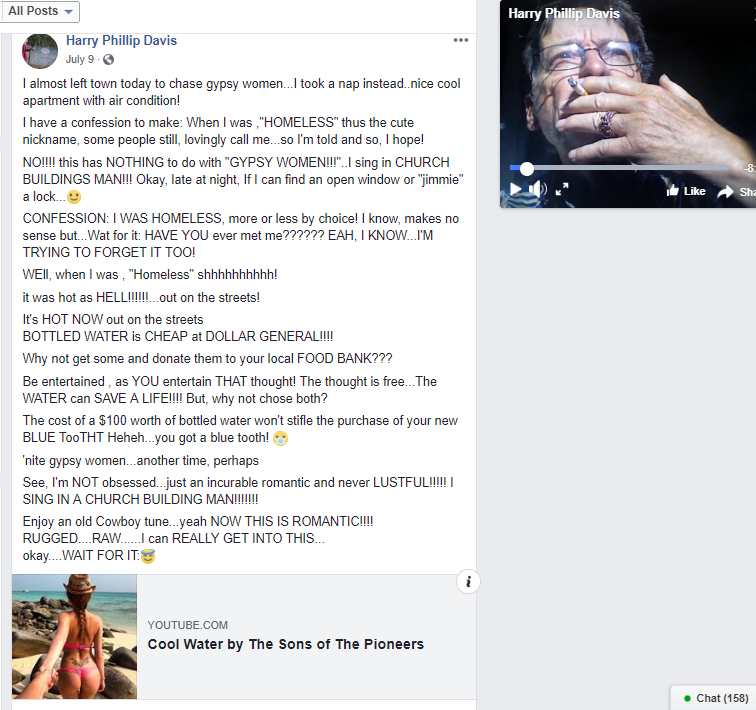 When Harry was asked the reasons for that post on the left, he explained that he felt that Pastor Richard was making fun of him by posting the German word “Gesundheit” below a post that Harry had written in German. 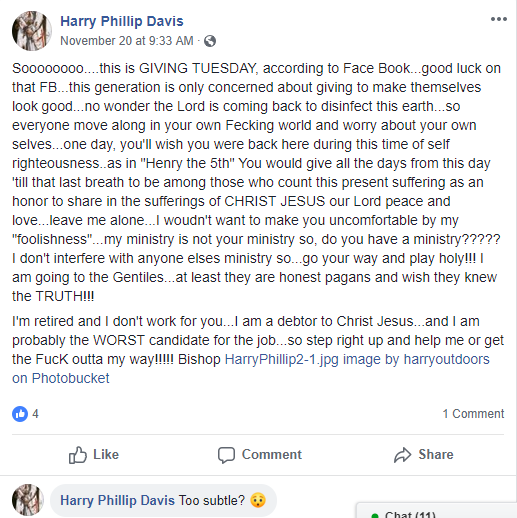 Pastor Richard explained that it was the only word he knew in German and had meant no harm and that he felt Harry had strongly over-reacted to his one-word comment. 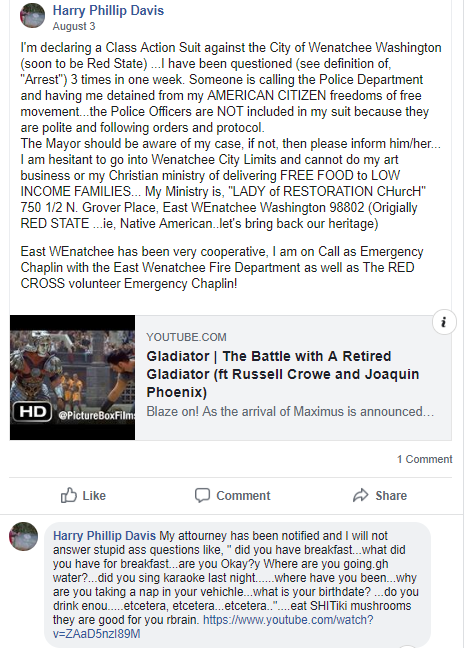 Harry was making posts attacking the police (We hold law enforcement in high regard and condemn his statement) you can see from Harry’s Facebook post on July 14th:. 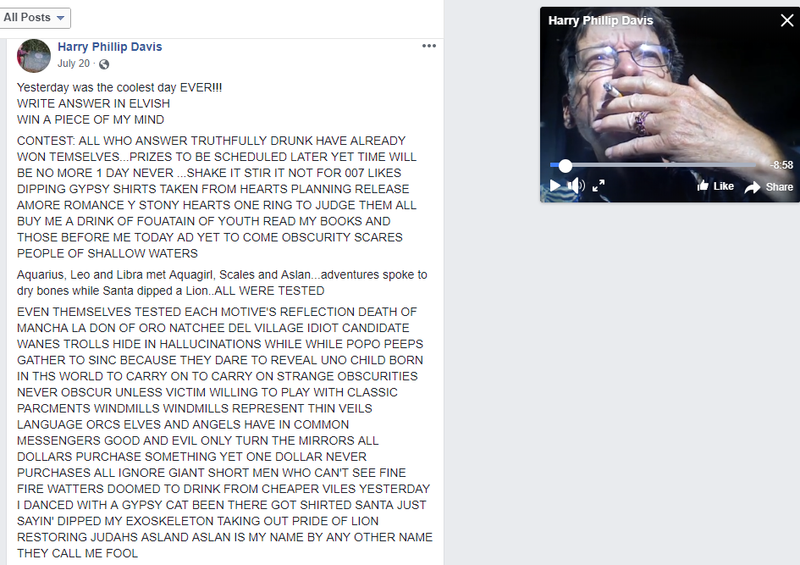 Please keep Harry in your prayers.